Hittites arrived in Anatolia circa 2000 BC, possibly from the Sea of Azov. Small city-states existed several centuries before strong rulers consolidated power and territory. Two early rival kingdoms were Zalpa (aka Zalpuwa, probably at ancient Ikiztepe) in the north and Kanesh, near a large salt lake called Tuz. Circa 1780 BC, king Pithana and his son, Anitta, of the Kussara Kingdom conquered Kanesh. 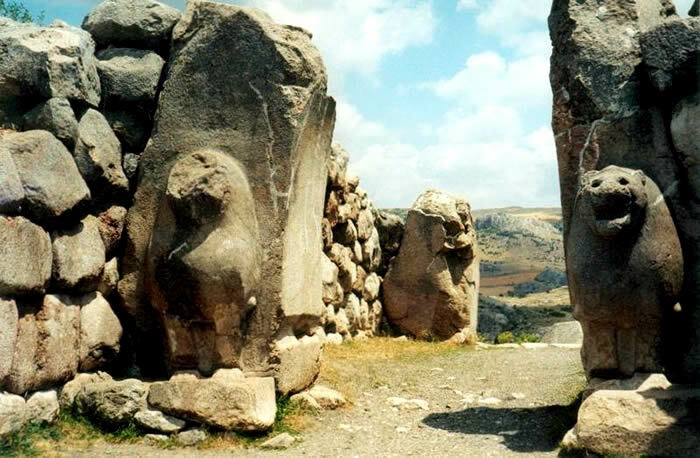 Anitta later captured Hattusa and Zalpa. Founder of the Hittite Kingdom was Labarna I (between 1600 and 1450 BC), probably aka Hattusili I. His forces expanded territory and unsuccessfully attacked Aleppo. His successor, Mursili I, captured the city, along with Mari and Babylonia in 1535 BC. Internal dissent caused Mursili to withdraw from Babylon shortly after the city fell in 1531 BC. He relinquished Babylonia to his allies, the Kassites. Upon his return home, assassins hired by his brother-in-law (Hantili I) killed Mursili and the kingdom devolved into chaos. 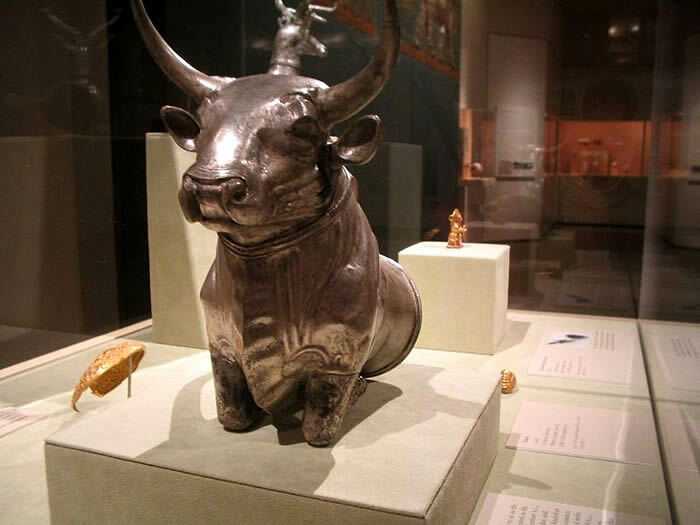 This was a period (circa 1500 BC) of Hittite weakness. Kaska people from Pontus staged frequent attacks. The Hittites signed treaties with rival people, becoming known for their pioneer efforts at diplomacy. Tudhaliya I (early 14th century BC) started the Hittite New Kingdom. His major accomplishment was the conquest of the Assuwa League circa 1400 BC. The League included Taruisa (Troy) and Karkija (Caria). Tudhaliya also allied with the kingdom of Kizzuwatna to conquer Aleppo and Mari. He later conquered much of Arzawa. Enemies razed Hattusa during a weak period after Tudhaliya's reign. Circa 1350 BC, Hittites regained dominance of the region under king Suppiluliuma I. Queen Dakhamunzu requested to marry his son, Zannanza, and offered him the throne of Egypt. However, Zannanza died while sailing to Egypt. Former Egyptian vizier declared himself Pharaoh Ay. This infuriated Suppiluliuma, whose armies seized Syria and made Mitanni a client state. A plague carried by Egyptian prisoners ravaged the Hittite homeland and killed Suppiluliuma. Circa 1274 BC, Pharaoh Ramesses II led an army against Hittite forces in the Battle of Kadesh. Timely reinforcements countered the Hittite chariots and prevented an Egyptian disaster. Hittite forces under king Muwatalli II withdrew to the Kadesh fortress. Both sides claimed a victory. The new Egyptian light chariots proved superior to heavy Hittite ones, but Muwatalli consolidated his rule over the Upu (aka Apu) region near modern Damascus. 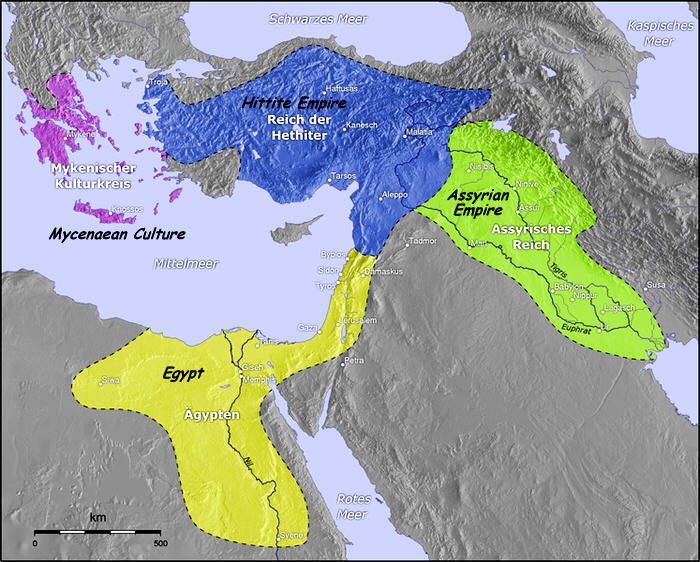 The rise of Assyria undermined both Egypt and the Hittite Empire. King Shalmaneser I vanquished Hurrian kingdoms and Mittani. Hattusili III became king (1267-1237 BC) after ousting his nephew, Mursili III, in a brief civil war. He later concluded a peace treaty and alliance by presenting his daughter to Pharaoh Ramesses III. Despite the strong rule of Tudhaliya IV, Assyria continued to seize territory from the Hittites. Sea Peoples swarmed into the Mediterranean, destroying or weakening numerous kingdoms and empires in the region. Circa 1180 BC, invaders burned Hattusa and ended Hittite rule.